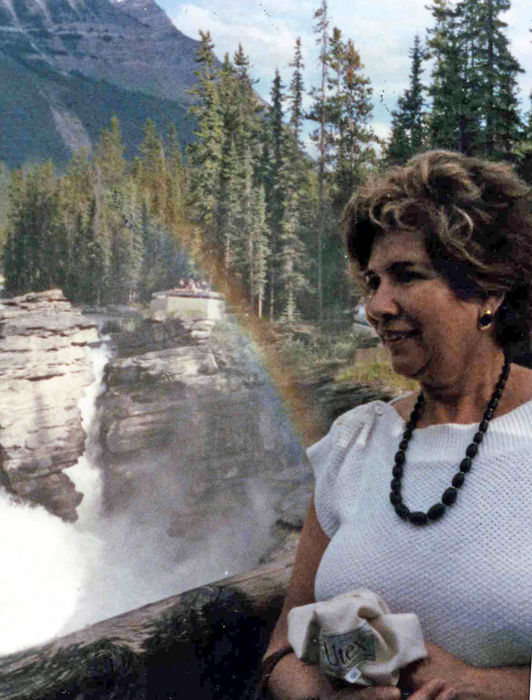 This picture of my mother with a rainbow is amazing for me. Soon it will be the one-year anniversary of “My Journey’s Insight.” I have been thinking about whether I will continue this blog. I want my blog to stand as testimony of my amazing year. To continue it might trivialize what it represents for me. My accomplishment in one year was my transformation, as I released all of the stories and music from within my heart. Perhaps there will be new stories and songs for me. I like to wonder about that! I love writing and sharing, so I might pursue another type of venture; I might even start a new blog. The title for this post comes from my new and upcoming song, You Were There. This new song carries the melody of my instrumental song, Farewell. This past week, the lyrics for my upcoming song flowed out from me. Although I did write my song “Alone” before experiencing grief, the absolute truth is that I have never been alone. The love from my mother always enveloped me in safety and comfort. I most certainly had issues with her as many mothers and daughters do. However, I never doubted that my mother loved me deeply; her essence was completely about loving all of her children. I truly became close to my mother when I became a mother. Any past enmity that I had toward my mother in my mid-twenties evaporated when I saw how she devoted herself to helping me with Jason. With his death, she echoed my grief. She loved Jason, and still carries his memory. Below is a recent, message excerpt from my cousin, Dorothy. Messages like this help me continue to stay positive. Thank you for the photos. The picture of the artwork on the table reminded me of your mother and all the art projects she did for you. As a result you are a great artist. All the things your mother did for you have not only made you a good artist but gave you the persistence to do all the things you did with each and every one of your children. It sounds as though your mother is slowly gaining her strength back. Judy, you are helping to give her moments of peace. Thank you for all you do. The pictures you send bring back so many wonderful memories. She is such a fighter and has always had so much to give to others with all the love she had inside her. And now you are giving back to your mother. There are things I notice about this picture. My father’s face is full; he is so much heavier. My mother has reading glasses and is about the age I am now in this picture. I do not carry any, and I probably should! The unknown can be scary. For me, there is a lot of unknown about my mother’s condition right now. It has been difficult for me to counteract medical personnel that view my mother as a rare oddity – someone who has refused surgery. That was why she became a candidate for hospice. Although I am told she is dying, I believe she would be dying in the same way even if she had surgery – only sooner and with significantly more pain. Certainly, no one has solved for me the riddle of my mother’s dementia! If I wanted to be angry, I could go to a place of wondering why those same medical personnel were not more helpful about preventing my mother’s accident – or even a future accident! I don’t go there, although I have a meeting on Monday with the hospice team to discuss my mother’s situation. I hope I won’t express anger when I am faced with an attitude that I have hastened my mother’s demise. Sadly, my mother has disappeared into a fog of confusion the last few days. It appeared not be related to any medication changes, although she did begin an antidepressant, yesterday. I try to remain positive. I am able to handle this phase, because she is comfortable and happy. She is not suffering! Because it was in the back of my mind the slim hope she could take an “anti-dementia” drug, I decided to ask my mom if she still wanted a pacemaker. I gently reminded her that with a pacemaker she would have more energy; I could arrange for it. Tears rolled down my cheeks, because my mother suddenly seemed so alert and aware. She must have known that I needed to hear that. I left in the twilight. I listened to my new song and cried while I was driving. “The other daughter” is also a Judy, and she is a good friend of my friend, Janis. Tomorrow night when I perform, Janis and Judy will be coming to watch. Judy has been observing strict, mourning customs since her mother died last December. She did not attend any musical performances for a year. Now she is coming to hear me sing! After I perform, we are all planning to go out to dinner. I am looking forward to it. 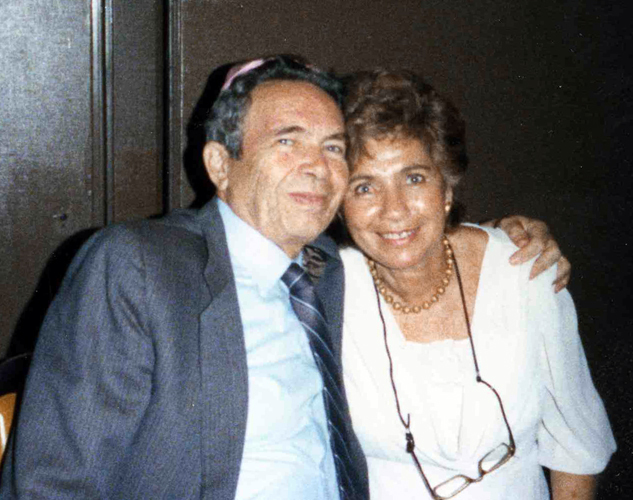 Judy did not have the opportunity to say goodbye to her mother as I have with mine. I have chosen to look at this time with my mother as a wonderful gift! 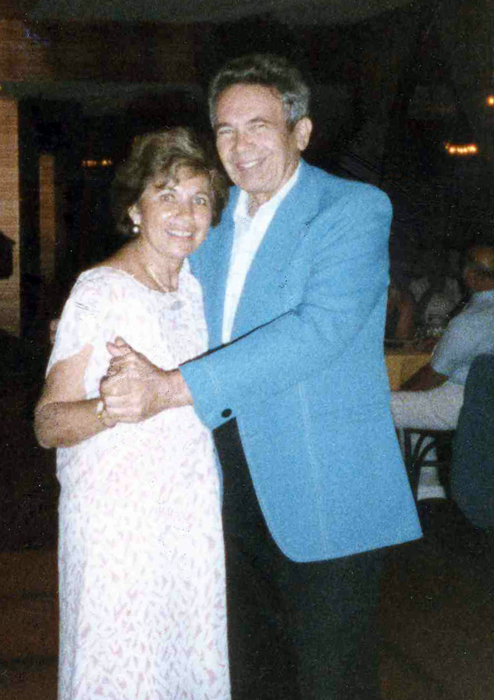 I love memories of my parents when they were able to dance. I haven’t read any books in a long time; her book sounded interesting. I remember very well, being very angry with God for the loss of my child. Her simple statement made a lot of sense to me. I truly understand now how much I have learned from all the challenges in my life! All of the things I used to fear are not scary anymore. I understand about losing my mother and my father. I even understand that the time will come when I will die. When that time comes, I will let God know how thankful I am for all the gifts I was given. I took this picture the other night. This demon is evil and capricious, wily and cunning. Like a poisonous snake, it slowly slithers into the soul. It tightens its evil grip upon the brain. At first, its victim struggles with the ever-tightening awareness. Soon, it becomes too difficult to escape from the demon’s tentacles of torture. The demon of dementia likes to tease its victim. The demon knows it will ultimately win, so it takes its time. My mother is now a victim of this demon! I wish I could pull out that demonic snake and rip it into pieces to prevent it from further destroying my mother’s soul! This demon taunts me! 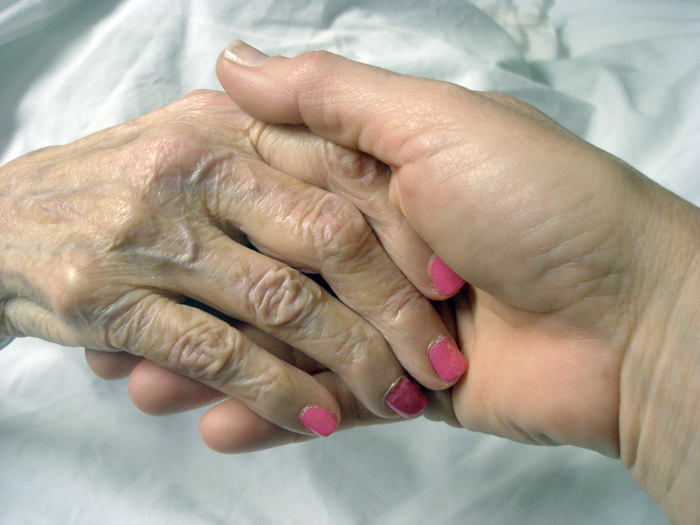 My mother is still warm, but too weak to fight. I want to understand why this demon invaded someone who is such a kind and loving human! I do realize there is so much pain and evil in the world! The demon of dementia might win, but only in the physical sense. My mother’s soul may have been incrementally stolen, however, love and goodness can still triumph. goodness, because I can carry it on. My youngest son made this completely on his own and gave it to me. When I asked him why he chose the word “hope,” he said it was for his grandma. Last night when I performed at Border’s I played my new song. I know there is no one on this planet who could love me as much as my mother did. Although I know I am fortunate to have experienced that kind of love, to lose it felt very sad. This morning, I brought my guitar into my hypnotherapy session. Since music expressed my feelings better than anything, I was eager to share my new song with Connie. I had changed my strings the night before; the sound was gorgeous. I was glad I was able to play my song without crying. As my last note echoed, I felt peaceful. Connie gently asked me for an explanation about the lyric line I wasn’t certain of. I was fascinated that she had picked up on my sadness with those words! This entry was posted in Hip fracture-no surgery, Hypnotherapy and tagged "sandwich generation", acoustic guitar, Advocacy, Aging Parents, Caregiving, composing, creativity, Daily Life, dementia, guitar, Hypnotherapy, inspiration, loss, lovesong, lyric development, lyric writing, lyrics, mother, mother daughter relationship, mother's illness, Music, Ordinary Life, original songs, performing, singing, songwriting, voice lessons, writing. Bookmark the permalink. Your mom is the elusive “pot of gold at the end of the rainbow.” We are the lucky ones; she has always been around. Now we will become the legacy she gave us– caring, loving, nurturing, thoughtful, bright and beautiful. There is nothing she has not given us and I am grateful. It was hard leaving her Wednesday and go off on our trek threw the mountains. Chanterelle hunting proved fun and exciting and Carol’s knowledge was astounding. Thanks again for including me. I liked the wind that came up somewhat suddenly while enjoying our repast toward the end of our rainbow journey. Oh – I have no words. Your journey is so heart-felt. It is not easy to do what you did – and to remain so positive. Thank you for sharing these very precious moments. You are welcome! Thank you so, so much for taking the time to read about my journey and for your kindness.